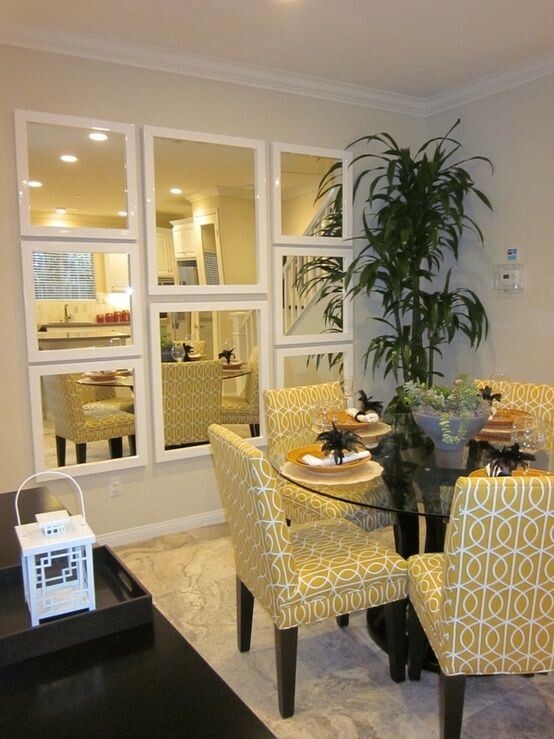 Big fans of glass and mirrors. 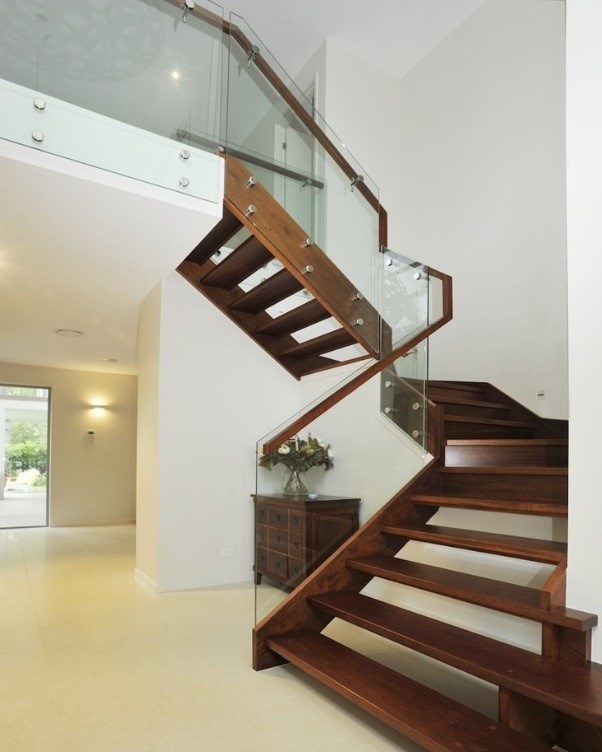 We absolutely love the way intelligent use of glass can add a modern twist to a traditional design. Mirrors, on the other hand, can open up a room and provide convenient stop checks for lipstick on teeth without darting to the ladies. The other huge advantage of glass in our glorious part of the world is how it creates a structure which blends the outdoors with the indoors. 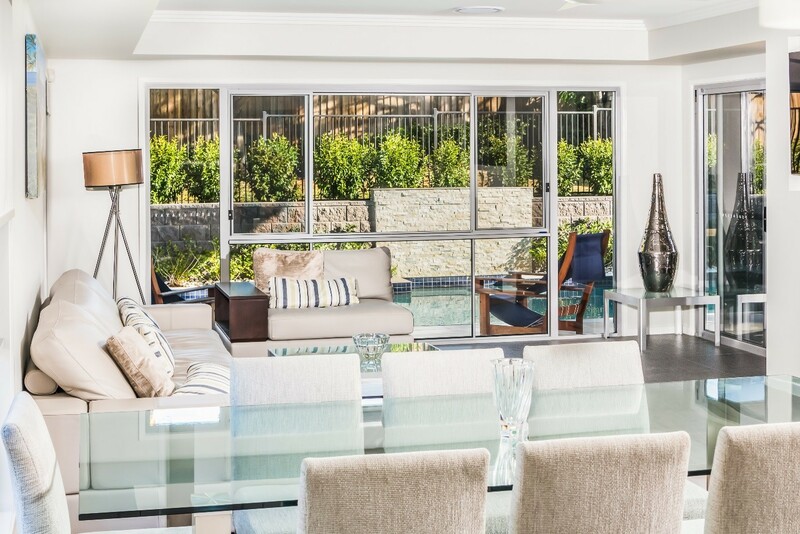 How we love the ability to sit on the lounge and still feel like we’re outside because our stunning windows allow the beauty and happiness of the sun filled back yard to blend with the indoors. 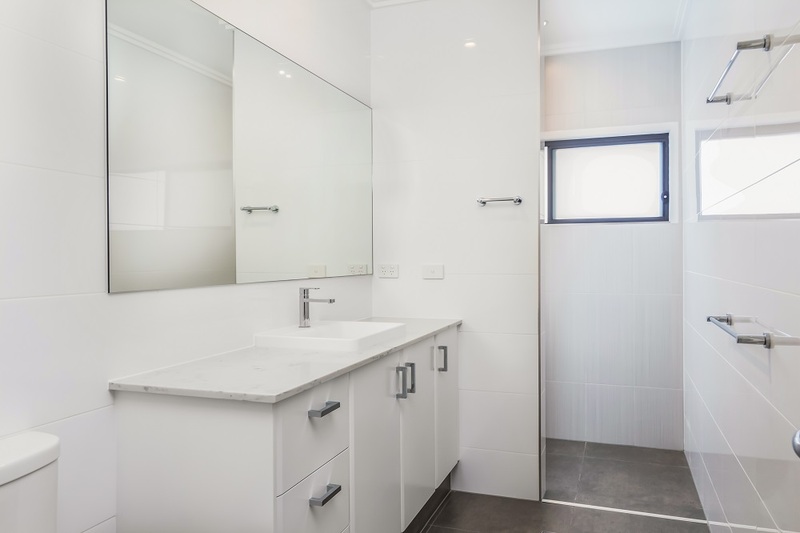 Now that we’ve established we’re fans of ‘well placed’ mirrors and sheets of glass in our home, let’s move on… Whose bright idea was it to make shower doors clear glass? If soap stained filth doesn’t bother you then go for clear glass but you’ll never find this in a Manasons home. Glass should go in areas where it is not touched regularly and doesn’t have soap, shampoo and conditioner splashed on it daily. It’s hard enough to clean windows on a regular basis but shower doors? Why is this so common? Is it because it’s easy to fill a corner or perhaps because it’s inexpensive? Possibly to have the bathroom look bigger? Yes it can look pretty when it’s never been used but with regular daily traffic, to us it just doesn’t work. Friends of ours had a house with the ultimate combination – a shower with glass doors and a mirrored wall inside the shower. Not only do you get the joy of cleaning the glass, but you also get the pleasure of seeing your reflection while you’re showering, with the added bonus of cleaning that as well. We prefer the tiled, walk in shower with no door but done in a way where it’s around a corner or has a post in front of it. This way, you can have a shower and if one of the kids comes in or your significant other is in the room, you still maintain some dignity (possibly why clear glass doors on toilets aren’t so popular). Having lived in many houses with glass shower doors, we can confirm it’s virtually impossible to keep that glass clean unless you commit to drying it every time it’s used which simply isn’t practical. Alternatively, you can stick to the traditional cleaners or others which claim to create a protective film so water beads off. Our pick is simply to avoid them. Yes to big windows which bring the outdoors in (and can be washed once or twice a year) and yes to balustrades which generally don’t get touched unless you have sticky little hands around but a firm NO to glass shower doors. Our mission is to create a home which serves as a private sanctuary and possesses the right balance between luxurious quality and intelligent design. © Manasons Properties Pty Ltd. All rights reserved.